The Monster Squad was the perfect cross between The Lost Boys and The Goonies, but unfortunately it opened in theaters two weeks after the former and was lost in the shuffle—or so the cast and crew assumed. Much to their surprise, the [mostly] kid-friendly monster movie developed a large and intensely loyal following over the years. 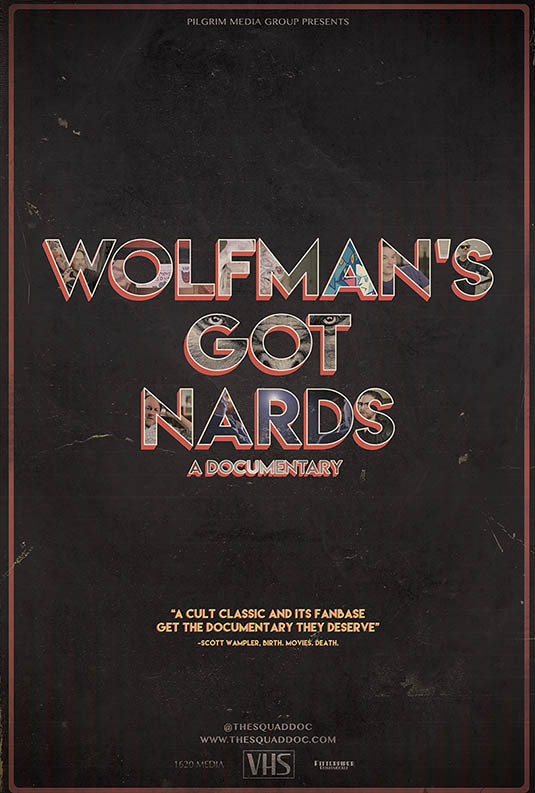 Original cast-member André Gower tells the untold story of the film and its fandom in Wolfman’s Got Nards (trailer here), which had its New York premiere at the 2018 Brooklyn Horror Film Festival. Monster Squad director Fred Dekker already had a reputation among horror fans for Night of the Creeps, while co-screenwriter Shane Black was about to become the toast of Hollywood for penning Lethal Weapon and Predator. 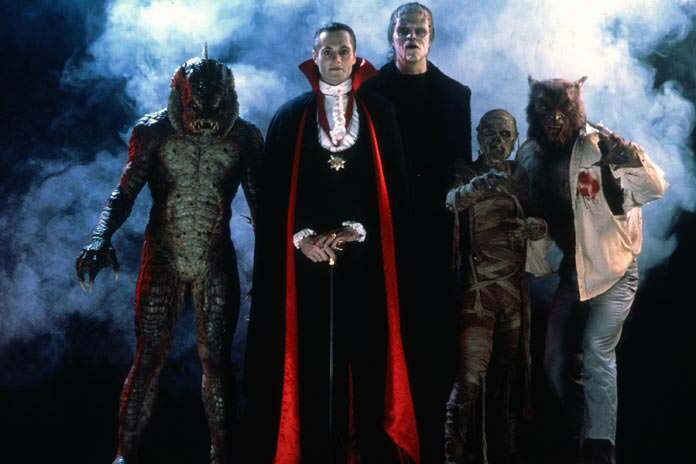 Monster Squad was a passion project for them both, conceived as a homage to childhood and the classic Universal monsters, but the box office results were not what they hoped. As everyone would hope and expect, the best segments of the film chronicle its production and pre-production. It might be fun to watch, but it wasn’t always a ball for its young cast, especially Ashley Bank, as the little sister who is scared witless by Dracula. The film is also quite poignant when the Monster Squad alumni pay tribute to Brent Chalem, the cast-member who did not live to see its overdue ovation. However, the film would be much stronger if it cut at least twenty minutes. Frankly, most of the final third plays like an extended infomercial for Alamo Drafthouse. Apparently, Monster Squad plays on at least half their screens 24-hours a day—and they still sell out every screening. That is certainly nice for Tim League, but most fans would probably rather hear more behind-the-scenes stuff instead. It is easy to get the appeal of Monster Squad. You have Dracula, the Mummy, Frankenstein’s Monster, Gill Man (a.k.a. the Creature from the Black Lagoon), the Wolfman, and his nards. Yet, somehow, we never connected with it. For us it was The Lost Boys. Maybe there was a process of natural division. You either identified with Monster Squad, Lost Boys, or The Goonies. It is hard to see how you can beat Bernard Hughes final line: “One thing about living in Santa Carla I could never stomach—all the damn vampires.” Nevertheless, you can totally respect Team Monster Squad, but The Goonies is something else entirely. Despite its promotional shout outs, Gower’s doc is still worth seeing, because you can never get enough 80s nostalgia. Recommended for those fans who must already know all about it, Wolfman’s Got Nards screened during the 2018 Brooklyn Horror Film Festival.